Decreased mobility is a real problem we face as we age. It’s not only frustrating, but it can make day-to-day tasks more difficult, like bathing. Fortunately, that is one activity we can make a little easier at See-Thru. We can help you adapt your bathroom to your changing needs and make bathing safer, easier and more enjoyable. This can help you or a loved one remain independent in their home for a longer period of time. 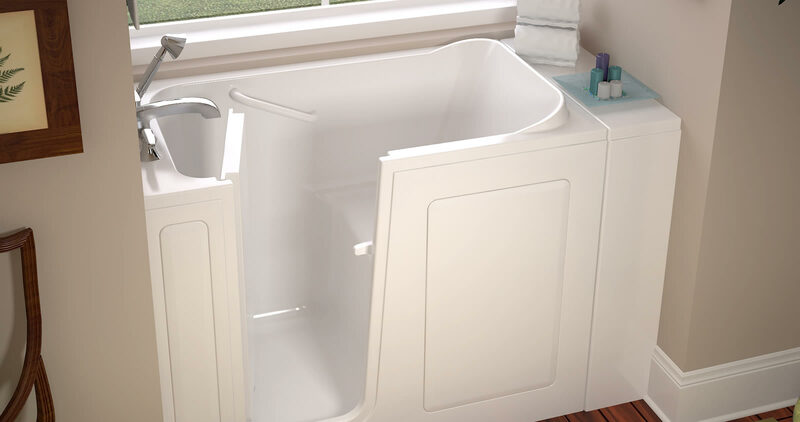 See-Thru has a wide range of accessibility baths and showers to help seniors and people with limited mobility. Re-energize and revitalize in one of our beautiful accessible showers or baths. Our acrylic baths and showers are designed to be easy to use, easy to clean and look great for years to come. 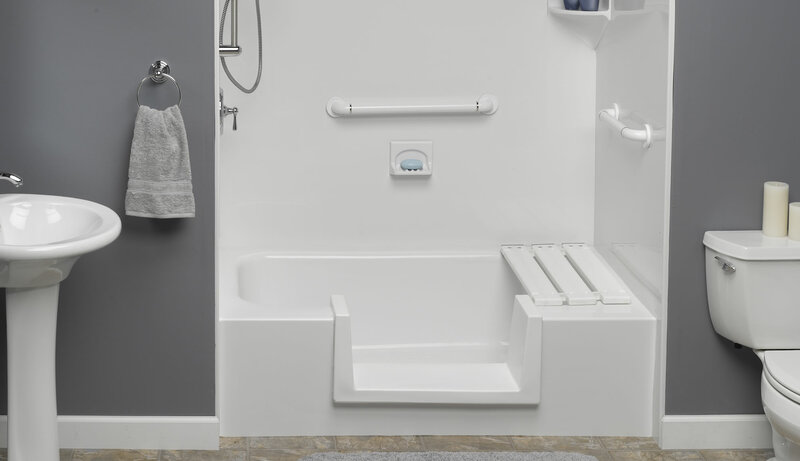 Make bathing safer and easier with a low step-in tub perfect for individuals with limited mobility. Make your bathing space safer and more spacious by replacing your old tub with a new beautiful shower. 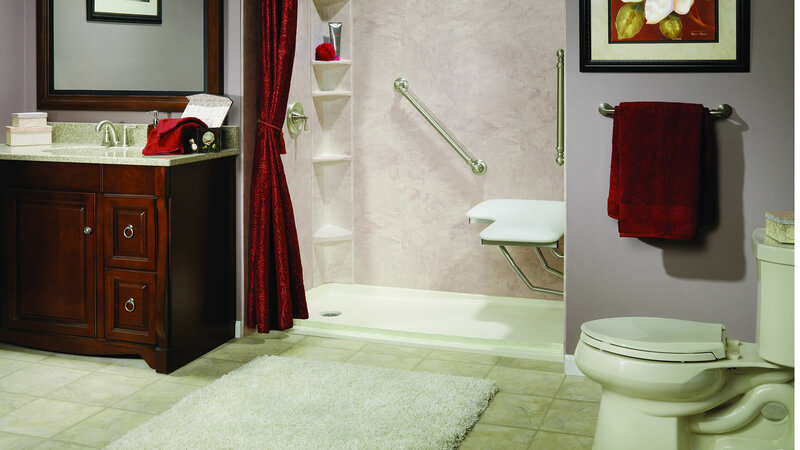 Get a shower with a modern look that is wheelchair accessible with a barrier-free shower. An important factor in determining how long you can remain in your home is how safely you can function in places like your bathroom. Accommodating your home to meet your or a loved one’s changing needs also increases your homes market value. We have a variety of safety features available to help you maintain bathing independence. See-Thru has been installing high quality home improvement products in the Waldorf area for over 20 years. We are locally owned and operated, and we pride ourselves in our relationship with the Maryland community and our loyal customers. When you choose See-Thru, you get a beautiful, hassle free bathroom that will increase the resale value of your home. Our accessible baths and showers are made from some of the highest quality, American-made materials available, and we proudly offer them to you at a fair and honest price. Homeowners in Fredfick, Columbia, Germantown, and throughout Maryland and Northern Virginia contact us today and one of our professional installers can help you determine the perfect bath options for your home. 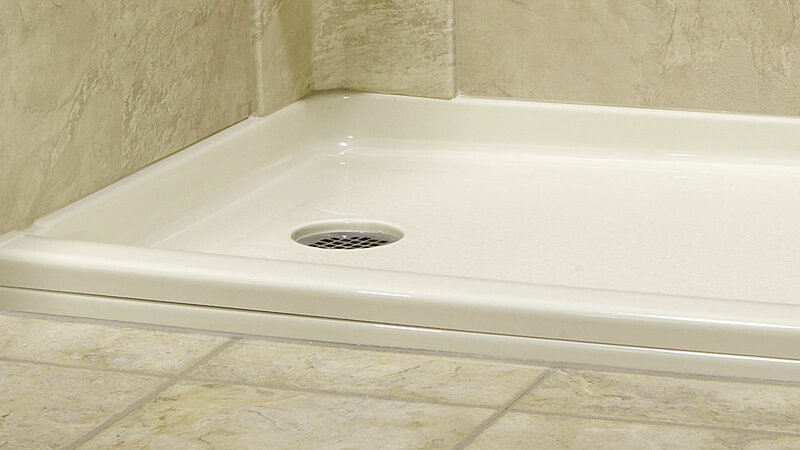 You can also check out our other bathroom remodeling styles like replacement shower bases and walk-in tubs.